Tim Tebow won two rings starring for the Florida Gators more than a decade ago. He’s ready to for another. The former Heisman Trophy winner and current Mets’ minor leaguer got engaged to girlfriend Demi-Leigh Nel-Peters this week, asking the 2017 Miss Universe winner to marry him on a visit to his family’s farm outside of Jacksonville. Tebow shared photos on his Instagram. The engagement comes roughly two years after Nel-Peters was crowned Miss South Africa 2017 and began dating Tebow. 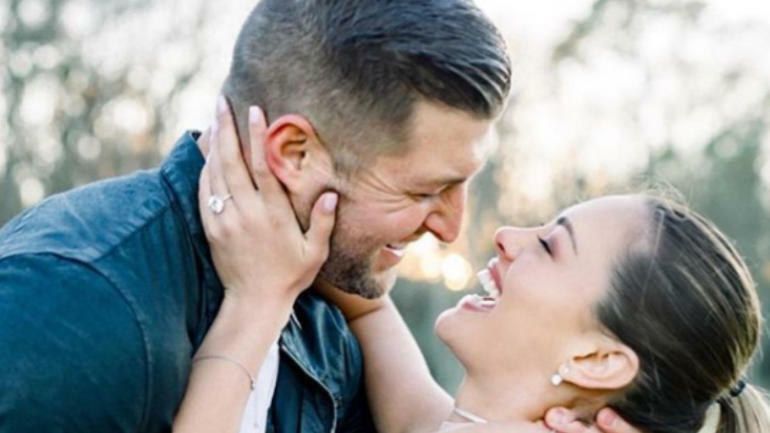 Tebow had told People before dating Nel-Peters that he was “ready to settle down and start a family” with a woman who “has a good heart,” who cares “about people who can’t do anything for them in return” and who “really loves God.” Upon proposing to Nel-Peters, he followed up by telling the magazine that his future wife checks all those boxes. Tebow has had one of sports’ most polarizing careers, flaming out as a first-round NFL draft pick and one-time comeback artist of the Denver Broncos, then spending time with the New York Jets, New England Patriots and Philadelphia Eagles before transitioning to a career in broadcasting. Since 2016, he’s had his sights set on an MLB career within the New York Mets organization, ascending to Double-A All-Star status in 2018.